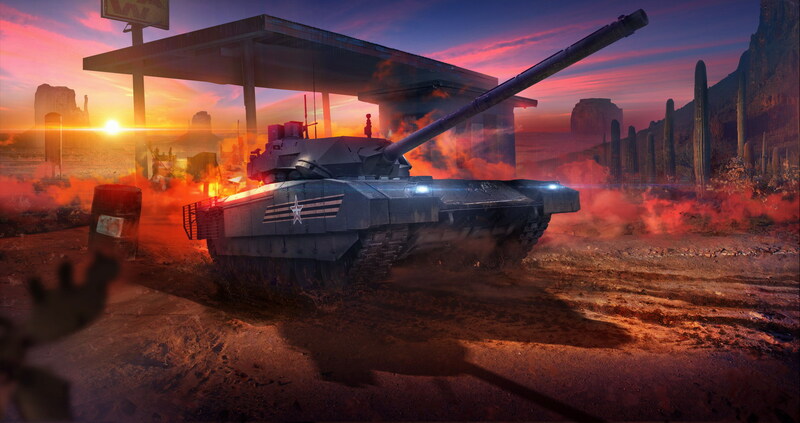 Today marks the third anniversary of the Armored Warfare launch and, on top of celebrating this important milestone with bonuses and great deals, My.com would like to make a very important announcement which will shape the future of the game as we know it. After months of secret preparations, My.com is proud to let you know that, soon after the testing is completed, it will be launching the Armored Warfare Global Server. This decision was carefully thought through and required a hefty amount of work over the course of the past months, as it carries a large number of technical challenges and risks. Ultimately though, My.com is convinced they managed to overcome all of them and believe that the new state of the game will pave the way for the service to be even more enjoyable than before for years to come. The new structure will also allow My.com to focus our resources on improving the game itself rather than maintaining separate game builds for different regions. The Public Test of the Global Server will be launched very soon with the first iteration of the global database. I would like to encourage everyone to visit it, see if their account got moved properly and provide My.com with as detailed feedback as possible so that they become aware of any issues with the system or design. The performance and availability of the server may be limited and not providing the best experience in battle as the game development team will be actively tinkering with the service all the time, but its launch, combined with your feedback, will help My.com immensely to make the launch as smooth as possible. More details about the availability will come soon. But that’s not all. In the future, they plan to release a number of updates that will bring a lot of new content to the game, including more seasons with new Special Operations! Great news for all Armored Warfare players out there! Warthunder has cross server play and now ARMORED WARFARE of all games is doing it. What excuse does Wargaming have again? I mean I know they are working hard on fixing the match maker and such things and all that, but they’ve had years before that to do this, and its not like it hasn’t been a BIG thing itself for players. Especially waiting for them to take apart the MM and put it back together in the next year or however long it takes them. You didn,t get the ideea. Mooving all players on one server was a hard measure to counter the lack of players. Wg for now has a lot of players so no need for that. In 2_3_4 years they,ll do it. RIP AW…. they screwed the game a long time ago and merging all remaining players to one server won’t fix that. Merging servers always was a sign/confession of the downfall of a game and like the last breath before closing it down completely. They should have concentrated either on PVE OR PVP right away from the start and not have tried to have one’s cake and eat it, too. Knew alot people playing the PVE mode in the beginning because they were tired of playing WoT and it was fun but with the roll out of 2.0 – something intended to fix the unbalanced PVP – made PVE a pain, which ended in a massive loss of players from that side. I don’t think this game will recover from all those bad decisions being made.